The Maxime Trijol Grand Classic range consists a blend of eaux-de-vie made from mostly Ugni Blanc grapes that have been been grown in various Cognac “crus”, and then matured in French oak. Information about which “crus” make up the Grand Classic range are particularly difficult to find, which gives me the impression that this information is not available from official sources. 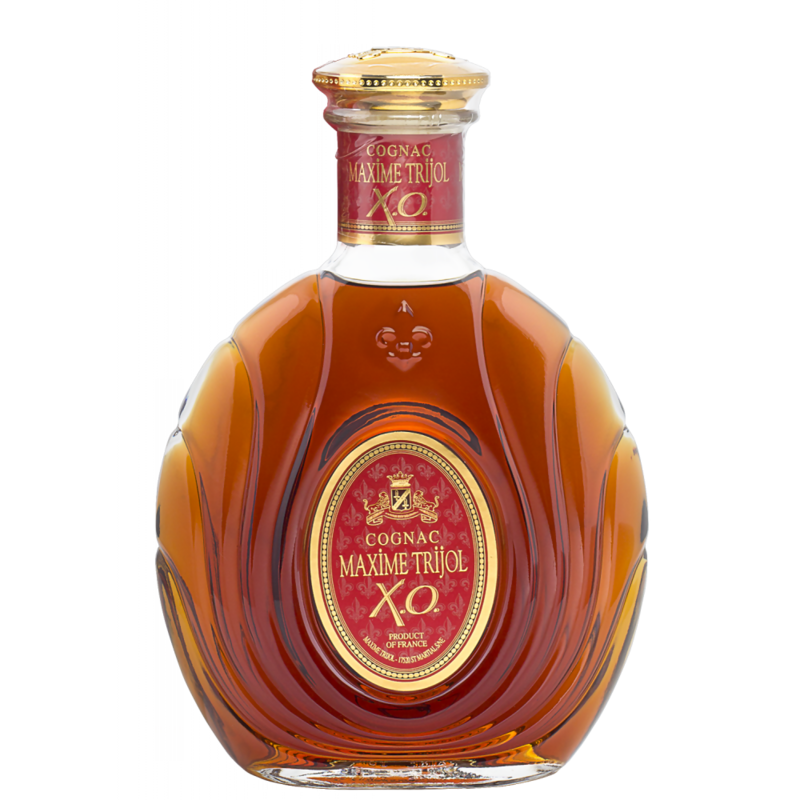 Make of it what you will, but as the below tasting notes show, the Maxime Trijol Classic XO seemed a somewhat slumber Cognac that may not appease serious Cognac drinkers. Minty toothpaste, peppery spice, papaya, dried dates, pitted prunes, brandied orange, lemon peel and soft black licorice emerge in what is quite a sugary bouquet, which is occasionally broken up by the occasional sting of alcohol and whiff of powdered milk. Fruit, dried figs, raisin, mild spice, oak and milk chocolate are soon overtaken by a minty freshness, and the palate then sweetens again with the faint flicker of spices. The finish is Sweet and syrupy with notes of cherry jubilee, chocolate sauce and toasted marshmallow. Consider buying it, if you like Cognac with a sugary sweet edge. Maxime Trijol XO was a very enjoyable Cognac, though it did strike me as somewhat one dimensional with an over emphasis on fruit and sugars. That is by no means a bad thing, because it just comes down to taste. If you are after a fine sipping Cognac with sweet sugary notes, buy it. If you are looking for a Cognac with more rigid wood spice and adventurous rancio notes, stay away. It did not really strike a chord with me, and I doubt this Cognac will entertain the serious brandy aficionado. For most of the population, though, it seems to be a good XO cognac. This Cognac serves as a great palate cleanser, and it matched particularly well with more bitter or tangy desserts – dark chocolate, citrus or fresh raspberry based desserts, for example. This entry was posted in Cognac and tagged Brandy, Cognac, food, France, Maxime Trijol. Bookmark the permalink.